Your gift can help with Cancer Research, 24/7 Cancer Hotline and Free Lodging for patients and caregivers when the treatment that could save their life is too far from home. The American Red Cross exists to provide compassionate care to those in need. Our network of generous donors, volunteers and employees share a mission of preventing and relieving suffering, here at home and around the world, through five key service areas: Disaster Relief, Supporting America’s Military Families, Lifesaving Blood, Health & Safety Services and International Services. Every nine minutes, the American Red Cross brings help and hope to people in need. Every dollar you give helps us do more of what we do. Whether it's a natural disaster that devastates thousands, or a home fire that affects a single family, the Red Cross is there with arms both open and full. Camp Eyabsut's mission is to support, enhance and positively impact the quality of life for young burn survivors through teambuilding, challenging activities and friendships in a fun and safe camp environment. In 1997, we sought a way to identify our camp, while keeping in touch with our northwest roots and our connections to the local land and people. In a solemn and moving fireside “blessing ceremony,” the name “eyabsut” was given to us by elders from the Skagit Tribe. In their language it means, “To Rise Above Anything!” This exemplifies the message and mission of our camp and speaks to what all of our campers strive to do day in and day out! The symbol of the bear was also given as a sign of the strength and courage of all of our campers. At Ronald McDonald House Charities of Western Washington & Alaska (RMHC), we support seriously ill children and their families. At the Seattle Ronald McDonald House, we provide a “home-away-from-home” to help families through a difficult time. We also provide a van service for families staying in Anchorage while their children receive medical care. From Alfredo sauce to Ziploc bags, the House needs all the same things you do, only lots more of everything! Please visit our Wish List to see a list of needed items. Purchase through Amazon and the House will receive 4% of your total purchase as an additional donation! Holli and Edgar Martinez established The Martinez Foundation in 2008. The Foundation works with students and teachers of color from all socioeconomic, ethnic and cultural backgrounds. Our mission: To prepare and support diverse and highly-qualified teachers who will raise expectations, accelerate learning and close the achievement gap by granting scholarships and promoting innovative social justice curriculum. The Martinez Foundation is a public nonprofit organization, we are not a granting foundation. Martinez Fellows have the opportunity to create a more equitable learning environment in public classrooms, close the gap between disadvantage and achievement, and honor every student’s right to succeed in school—and life. We value this work because our communities need increased equity in the classroom and more role models for our children. The mission of The Martinez Foundation is to improve teacher diversity and the retention of teachers of color in Washington State. We seek to accomplish this by providing scholarships, mentoring, and ongoing professional development. We are the only organization in the country whose mission is to improve teacher diversity and support teachers of color in their profession. 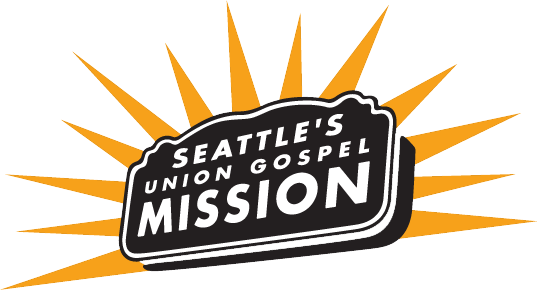 Seattle's Union Gospel Mission provides emergency care and long-term recovery services to hurting and homeless people in the greater Seattle area. We're dedicated to serving, rescuing and transforming those in greatest need through the grace of Jesus Christ. We refuse to forget our poor and homeless neighbors. Our programs awaken hope in the hearts of people overcome with poverty and homelessness. But that's not all. We're challenging the standard thinking about how to fight poverty with 5 Mission Initiatives that tackle these key problems: Hunger, Homelessness, Poverty, High Risk Youth, Addiction. Change like this won't become reality through our efforts alone. We're partnering with churches, organizations . . . and local government, to make this happen. Our work is made possible by people like you who believe it's time to bring hope to the darkest places in Seattle. Donate now to keep this work going. Click here to view our Mission Statement. The founding members of the SVFB are first and foremost dedicated residents of the Snoqualmie Valley community. Collectively they bring a wealth of experience in running food banks, bring years of non-profit expertise and have dedicated many hours over their lifetime to serving others within their community. This group of individuals felt there was an opportunity to create an inclusive, community-based food bank in the valley that was solely focused on helping our neighbors thrive. To be helpful, inclusive resource to our neighbors when they need a hand up. To be a safe place to get food and other helpful resources. To treat all clients with respect and care. The SVFB is an organization run by neighbors, for our neighbors. We are actively seeking corporate and personal donations, as well as individuals who are interested in supporting this organization. Your Generosity Saves Lives! Donate today and help end breast cancer. The WSCFF Burn Foundation was founded in 1987 and is a 501c3 charity to provide funding for burn research, prevention, education, care and counseling of burn victims and their families. The WSCFF Burn Foundation is a separate organization from the WSCFF Benevolent fund and operates as an independent registered charity. The foundation is operated solely by Washington professional fire fighters. The foundation does not employ a paid staff. It is run by volunteer professional fire fighters who believe in giving back to their communities. Not employing paid staff allows the foundation to keep a very low overhead allowing the majority of all raised funds to be given to grants.